The physical act of skydiving seems easy to put into words, and there are hundreds of articles and videos on the subject. But how does it actually FEEL when you make that leap out of an airplane? 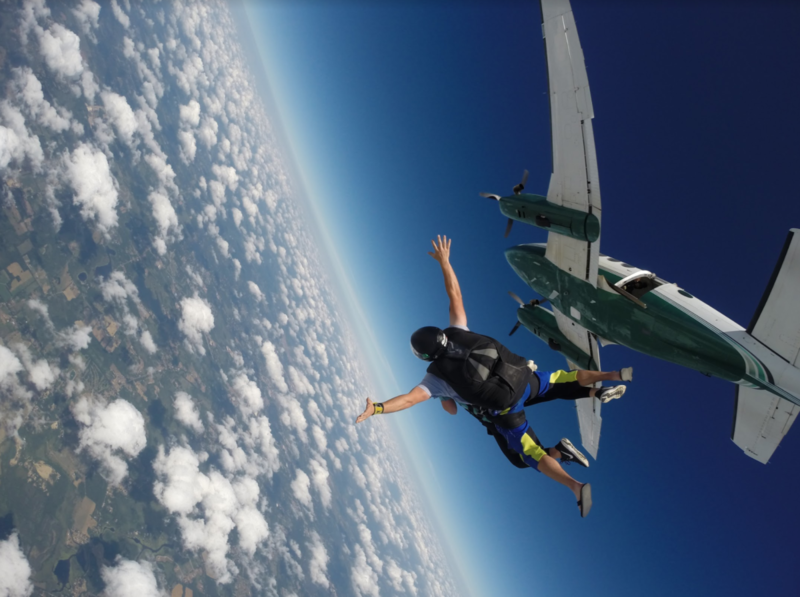 If you ask someone to describe their skydiving experience, you will quickly understand they are not defining a roller-coaster or cliff dive moment as you may have imagined! Skydiving connects you entirely with all aspects of your physical, mental, and Spiritual being. How Does It Feel Mentally? All the days and hours of feeling anxiety about your first skydive leads to this exact moment. What you feel on the ground during training, loading onto the airplane and easing up to the doorway to make that jump is adrenaline-fueled brain overload. But this has been your imagination at work, and now it gets real. Honestly, this is the moment where everything starts to slow down, and you begin to realize you can actually accomplish this! When you leap out into the sky, you become focused and wholly immersed in the moment. There is often a profound connection between your brain and body. The sensory overload of seeing the world from a whole new perspective offers a crystal clear understanding that suddenly your life will never be the same. Over and over most new jumpers express awe at the total mental clarity during their skydive. How Does It Feel Physically? Sometimes it is easier to explain how it does not feel! Skydiving does not feel like the bottom has dropped out from under you. 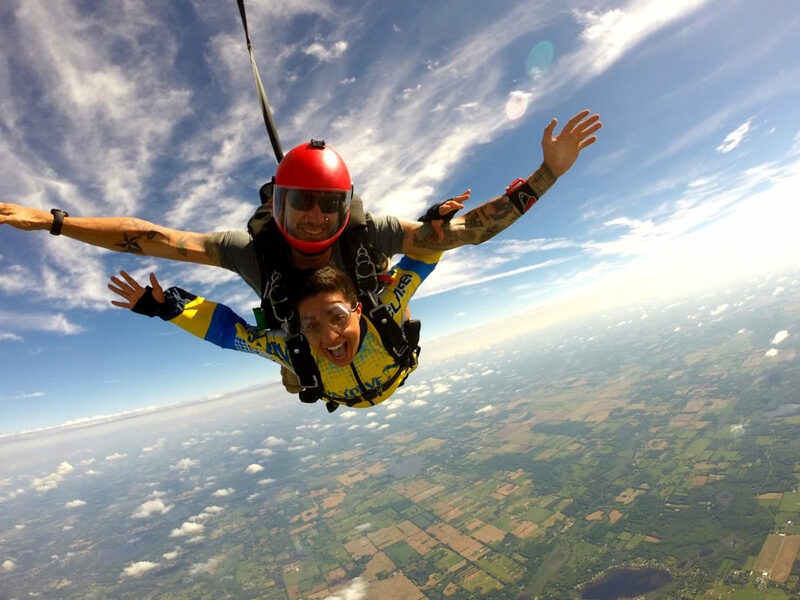 Skydiving is nothing like a scary roller-coaster ride or bungee-jumping. You do not have the sensation of falling out of control from the sky. You don’t have any real sense of your speed or descent because you are riding on the support of millions of air molecules! If you have ever dreamed that you are flying this is as close as you can get to that sensation of freedom. All those pictures of people grinning ear to ear during free fall are genuine because it is an amazing and joyful experience to be up there riding the sky! How Does It Feel Spiritually? Skydiving opens your mind to possibilities. There is something profound in finding out you can overcome your fears. On every level, there is a shift in what you perceive as your limitations. The solitude and peace of literally getting above it all is a Zen moment where you can see yourself as you wish to be. There is also a considerable happiness factor when it comes to the rush of endorphins and adrenaline from skydiving! What could be better than the feeling of happiness when it comes to your spiritual well being? As you can see, all those excuses you make because you hate roller coasters and would never consider bungee-jumping just don’t apply when skydiving! How you will feel mentally and physically during freefall and on the canopy ride down is nothing like you imagine. How you feel Spiritually is an individual journey of discovery. 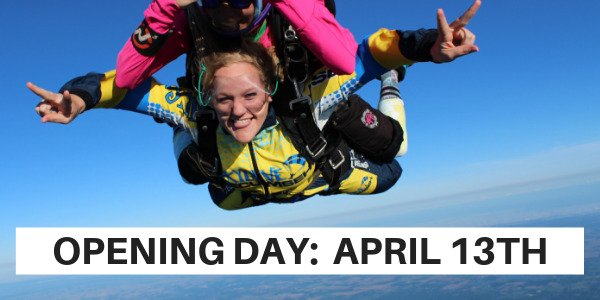 Contact us if you are ready to discover how it feels to skydive!